A diverse community of presenters representing students, alumni, staff, faculty, and industry professionals will be sharing their expertise, experience and collaborations. Join our community as we embark on this three day exploration of the creative process, exploring the tools and techniques that can make your vision a reality! 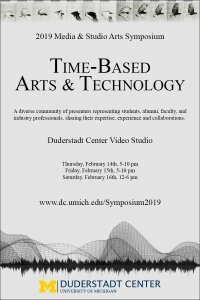 The second annual Media & Studio Arts Symposium is hosted by the Duderstadt Center, the nexus of interdisciplinary innovation, research and discovery for media creation and performance technologies at the University of Michigan. 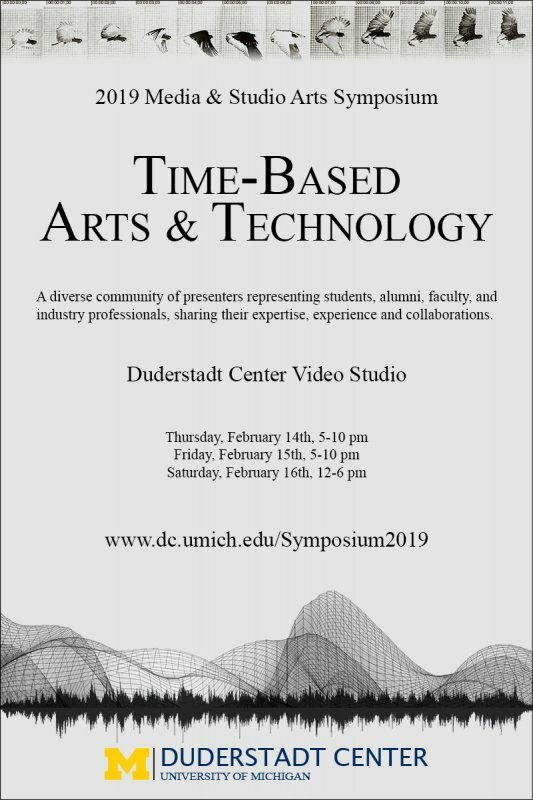 The Symposium will take place in the Duderstadt Center’s state-of-the-art Video Studio, showcasing the latest in Video, Audio, Interactive and Projection Technology.